2. Peel and cut beetroot into cubes, toss with garlic oil and season with salt. Trim and peel golden beetroots and toss with garlic oil and season with salt. Peel and cut sweet potato into cubes (1 cm2) toss with garlic oil, season. Place beetroot and sweet potato onto a roasting tray, roast until cooked but crisp. 3. Place all the beetroot trimmings on a tray with garlic oil and season, roast in the oven until soft, then blend to make a fine puree, finish with a touch of vinegar. 4. Cut lamb racks into 8 x 2 ribs. Lightly coat double lamb cutlets in rice flour. Dip lamb into egg wash (beaten eggs). Coat in Lupin crumb. 5. Heat pan, add oil and check temperature before placing cutlets into pan. Cook until golden and turn over. Cook for another 2 minutes. Remove from pan, place on a tray and finish cooking in hot oven (4-5 mins). 6. Remove cutlets from oven and place on absorbent paper and rest in a warm place (uncovered). 7. Sprinkle 2 half lemons with sugar and grill in pan. 8. 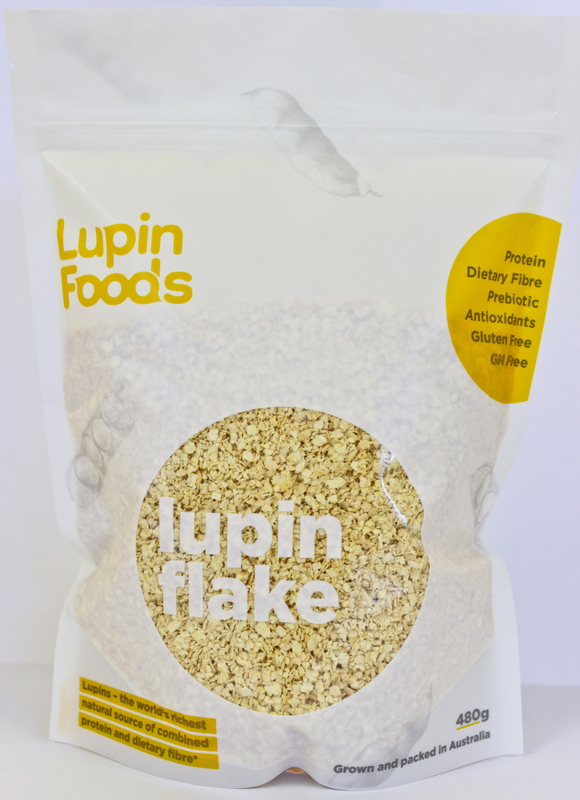 Toast Lupin Flake in the oven then mix with salt, cumin and cinnamon powder; blend or mortar. 9. Roughly crush macadamia nuts and add to roast beetroot. 10. Remove sweet potato and beetroot from the oven when cooked. 11. Add the beetroot, sweet potato, nuts, parsley and crumbled goats cheese together. Season with Lupin and Cumin Salt. 1. Place a circular ring on the plate spoon in the beetroot and the sweet potato mix, press down then remove the ring and sprinkle with Lupin and Cumin Salt and picked parsley and finger lime , drizzle with vinegar and extra virgin olive oil (50\50). 2. 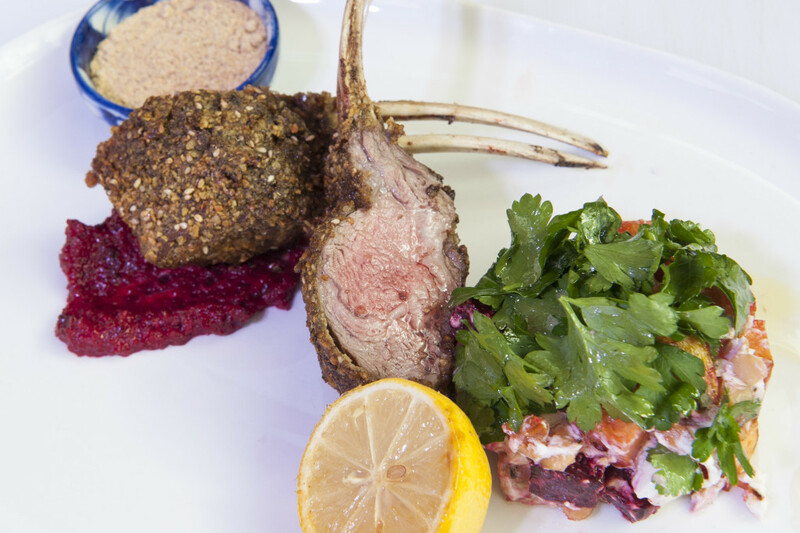 Place lamb alongside sweet potato and Lupin salad, serve with grilled lemon alongside. 3. Smear a little beetroot puree. 4. Accompany with the Lupin and Cumin Salt.